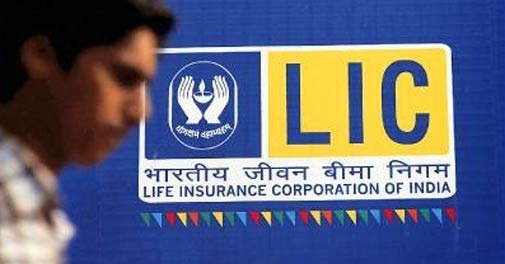 LIC has decided to stop selling as many as 14 policies, including Jeevan Mitra and Anmol Jeevan. Of these 14 products, LIC has already withdrawn seven policies, including Convertible Term Assurance and Children Deferred Endowment Assurance, with effect from November 16. As many as five policies including Jeevan Mitra, Jeevan Paramukh Plan, LIC’s Bima Account I and II will go off LIC’s shelves from November 23. Besides, two policies New Jeevan Nidhi and Anmol Jeevan I will be discontinued from November 30. The Insurance Regulatory and Development Authority (IRDA) had extended the deadline for implementation of new individual product regulations for the life insurance industry by three months to December 31. The new guidelines are aimed at making insurance policies more customer—friendly. “All the existing group policies and all the existing individual products not in conformity with the provisions of this regulation shall be withdrawn from August 1, 2013 and January 1, 2014, respectively,” IRDA had said in a circular. IndiaFirst Life Insurance is targeting 20% growth in premiums this fiscal. The company recorded Rs 1,316 crore in new business premiums in financial year 2012-13. 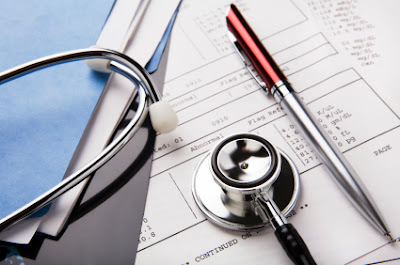 Moving forward, the company plans to focus on health insurance. Sometime ago, the company launched its health card, wherein customers can simply swipe the card after arriving at the hospital. IndiaFirst is looking to increase its employee count to another 1,800 people this year and plans to recruit over 5,000 agents during the same period. Currently, the company's distribution network spans 3,500 agents, a 15 branch tie-up with various regional rural banks and cooperative banks, apart from the bancassurance network of 6,200 (of Andhra Bank and Bank of Baroda, promoters of the company). IndiaFirst commenced operations in 2009 and is owned by Bank of Baroda, Andhra Bank and UK's wealth and investment company, Legal & General. Aviation insurance is likely to emerge as a key growth area in the coming years with new airlines starting operations and existing players expanding fleet size. Though the current market size of aviation insurance stands at around Rs 500 crore, growth of airlines industry will push the premium growth in the near future. The domestic aviation industry is growing at an average growth rate of around 15 per cent per annum and is likely to add around 450 aircraft in the next five years. Even the number of corporate jets are growing in domestic skies as more and more business houses are acquiring own aircraft for business travel needs, industry experts said. The country's largest insurer New India Assurance is a major player in this segment. Since 2000, the non-life segment has transformed as it deregulated and opened its doors to overseas businesses. As a result, the non-life segment has grown significantly over the last decade, resulting in the number of non-life insurance companies increasing from nine in 2000 to 25 in 2012. In terms of gross written premiums, the non-life segment grew from INR232.7 billion (US$5.3 billion) in 2008 to INR433.1 billion (US$8.1 billion) in 2012, at a CAGR of 16.8% during the review period. Government initiatives for large-scale insurance programs such as the Pan-India Campaign and regulatory initiatives will drive the expansion of private insurers. - The Indian insurance industry is one of the fastest-growing in the Asia-Pacific region and is highly competitive with the presence of both public and private companies. - Despite the global economic crisis, the Indian non-life insurance segment continued to grow at a healthy CAGR of 16.8% during the review period (2008-2012). 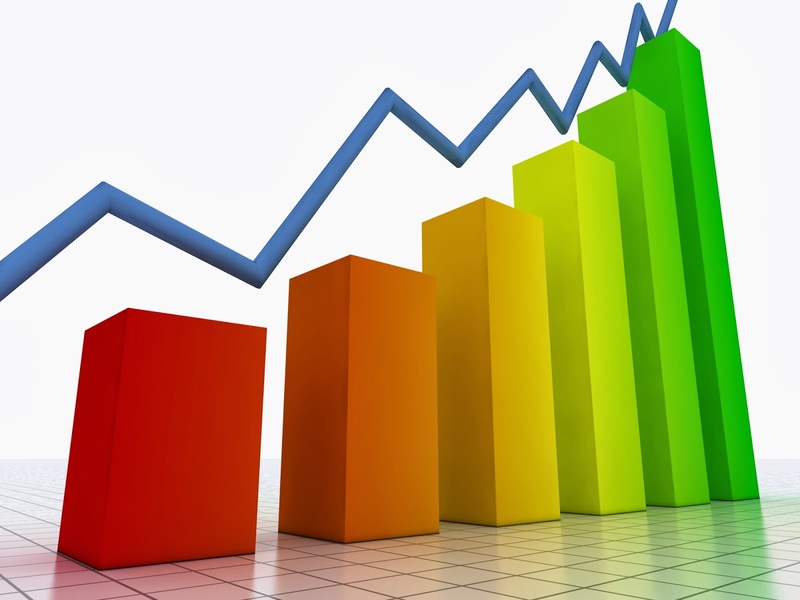 - The growth in the income levels of the population due to booms in IT and other industries also added to the growth of the segment. - The Insurance Regulatory and Development Authority's (IRDA's) proposal to increase the foreign direct investment (FDI) limit for insurance companies from 26% to 49% will be a key growth driver for the non-life insurance segment. - The top five insurers accounted for 58.5% of the gross written premium of the segment at the end of 2012. The United India Insurance Company has absorbed around Rs 900 crore loss arising out of Uttarakhand Floods, according to the company announcement. It has also reported an increase of 4% in Profit After Tax (PAT) for the first half of the financial year, ended September 30, 2013, to Rs 364.54 crore as against the PAT of Rs 350.59 crore during the same period of last year. 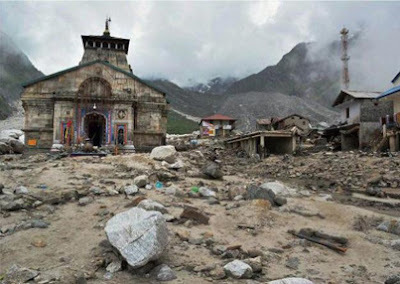 Announcing its half yearly result, the Insurance firm said, "The Company was able to absorb the huge catastrophic losses arising out the Uttarkhand Floods, totaling 15 property damage claims, involving about Rs 900 Crore". The flood caused by cloudburst along with the adverse geographic conditions has claimed thousands of life in the region, in June, 2013. The company has reported a premium of Rs 4,768 crore for the half year ended September 30, 2013 and the investment income of the company for the first half of the year stood at over Rs 953 crore as against Rs 855 crore for the corresponding period in the previous year, an increase of 11.46%. The company was able to reduce the claims ratio from 87% to 83.75% during the first half of the financial year, resulting in reduction of the combined ratio (a measure of the profitability of insurance operations) to 111.62% from 112.62%. Market value of its total investment portfolio at the end of the first half was Rs 19788 crore, it said. The networth of the company is registered at Rs 5322 crore as on September 30, 2013. 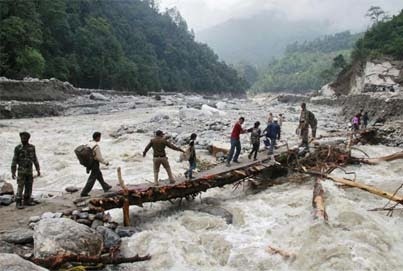 New India Insurance Company has so far settled 102 claims out of a total of 217 related to Uttarakhand calamity by disbursing Rs 2.90 crore to beneficiaries. 102 insurance claims related to loss of houses, business establishments, cattle and vehicles worth Rs 2.90 crore were settled by the company, its Regional Manager Chandrashekhar Dimri said. Dimri, who held a meeting with Chief Minister Vijay Bahuguna, said 217 insurance claims were received by the company out of which 140 fell within the purview of the company's regional office. He handed over a cheque of Rs 1 crore on behalf of the company to the Chief Minister for relief and rehabilitation measures in Uttarakhand, which suffered heavy loss life and property in rains and landslides in June. "Most parties, including the principal opposition have assured me of their support to it," finance minister P Chidambaram told reporters. He added that the government hoped to pass as many as 12 legislative Bills in the session, which would be the last full session before the 2014 Lok Sabha elections. Chidambaram also expressed confidence that the worst may be over for the Indian economy. The minister made these comments after the stock markets closed at a lifetime high. 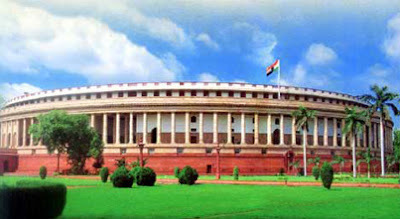 The insurance Bill which seeks to raise the foreign direct investment ceiling in the insurance sector to 49 per cent has been with the Rajya Sabha since 2008. The Cabinet had approved it again in October 2012. The standing committee on Finance had, however, suggested that the cap should be kept at 26 per cent. The government is now understood to be considering a proposal to raise the FDI cap to 49 per cent without an increase in voting rights. Passage of the Bill is expected to bring additional capital for the insurance sector, and help India finalise free trade pacts with the EU. General insurance major — United India Insurance, Chennai, has rolled out a comprehensive ‘Agroforestry Plantation Insurance’ plan for tree plantations. This scheme is expected to open a new chapter in sustainability of tree husbandry in Tamil Nadu. Vice-Chairperson of the State Planning Commission, Government of Tamil Nadu, Santha Sheela Nair unveiled the tree insurance scheme at the Forest College and Research Institute, Mettupalayam. Highlighting the said scheme, the Dean (Forestry) P. Durairasu said that the research institute worked with the insurance company for developing a cover for tree crops, in view of the fact that the existing crop insurance scheme did not cover tree crops. This scheme will cover pulpwood trees such as Casuarina, Eucalyptus (pulpwood), Melia dubia (plywood), Ailanthus, Gmelina (matchwood) and Leucaena and Dalbergia sissoo (Indian rosewood), he said.